The FAA claimed that US military rockets were being launched in connection with “space operations” yet the only missiles in Montana are nuclear armed warhead missiles. According to NewsPrepper.com,the missile silos in Montana are armed with Multiple Independent Re-entry Vehicles (MIRV’s) and each MIRV contains a 100 kiloton nuclear warhead. Within a half hour after launch, each single rocket is capable of destroying eight cities anywhere on earth. A count of over a dozen refueling tankers were sighted and flights were taking off on the average of every 15 minutes. He also observes the tent city that sprang up includes temporary barracks and hangars for both US Air Force and Navy personnel. 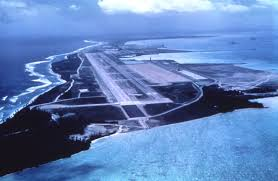 His ex-Air Force coworker speculated that the ultra-tight security and sudden influx of so much activity is characteristic of top secret nuclear weapons movement.Speaking of which, the eyewitness also noticed that 6-8 US Navy vessels were offshore and the island docks were busily unloading countless pallets of bombs. Obviously sneaky Obama is up to something very big against his targeted cold war enemies potentially including nuclear powered Russia and China. As yet another further sign of the West’s plan to wage global war against Eastern powers, a Sunday FARS News Agency article is reporting that based on recent WikiLeaks released emails sent to Hillary,Israel has entertained designs in its warming of relations with the House of Saud to use a Saudi airbase from which Israeli air force jets can be deployed for purposes of attacking Iran. 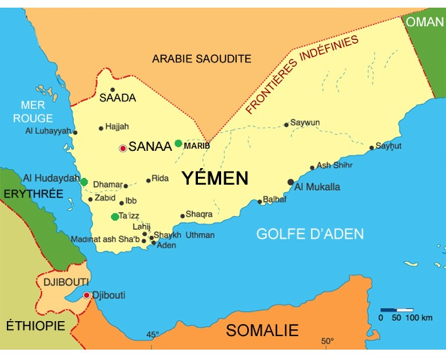 The article also mentioned in a related matter that The New York Times in 2010 disclosed that Saudi Arabia was prepared to give its air force stand down orders so that Israeli warplanes could safely pass through Saudi airspace to enable Israel to attack Iran’s nuclear and military facilities. In response to the cold war approaching the boiling point in recent weeks, and in total contrast to America,Russia has been busy preparing its citizens for potential nuclear war. Moscow ordered all Russian citizens, diplomats and students traveling, working or studying abroad to immediately return home. Members of Russia’s diplomatic corps were threatened with reprimands and career demotions should they refuse to comply with the Kremlin directive. Additionally 40 million Russian citizens, that’s near one-third of the nation’s total population, just completed an unprecedented massive nuclear war defense drill. Also unlike the US, Moscow has built underground facilities for housing its 12 million residents under the capital city for safe refuge. 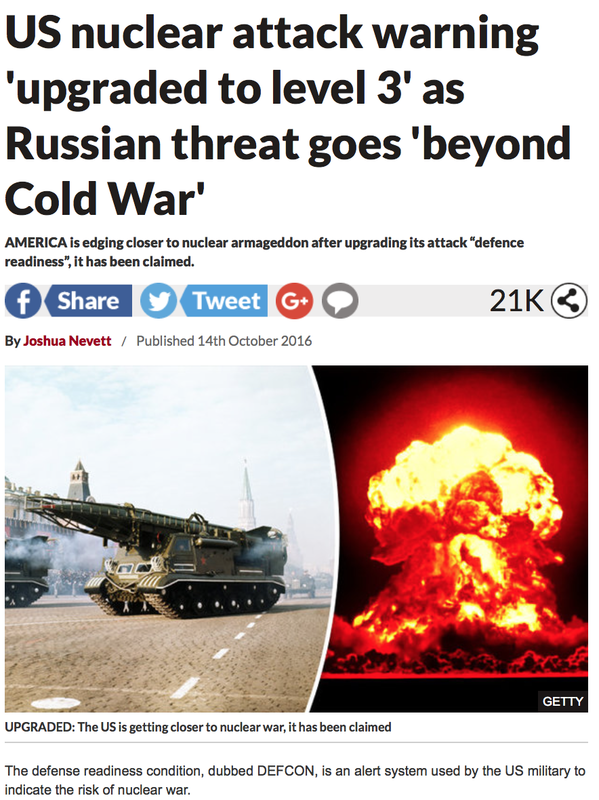 Again unlike America, Russia is taking the extreme threat of nuclear war with the West very seriously. Even MSM fixture ABC News ran a story how Russians have been preparing for a nuclear winter outcome. In stark contrast, outside of Putin bashing and the election sideshow, neither Washington nor its propaganda whores in the press have alerted Americans that they are currently in grave danger. 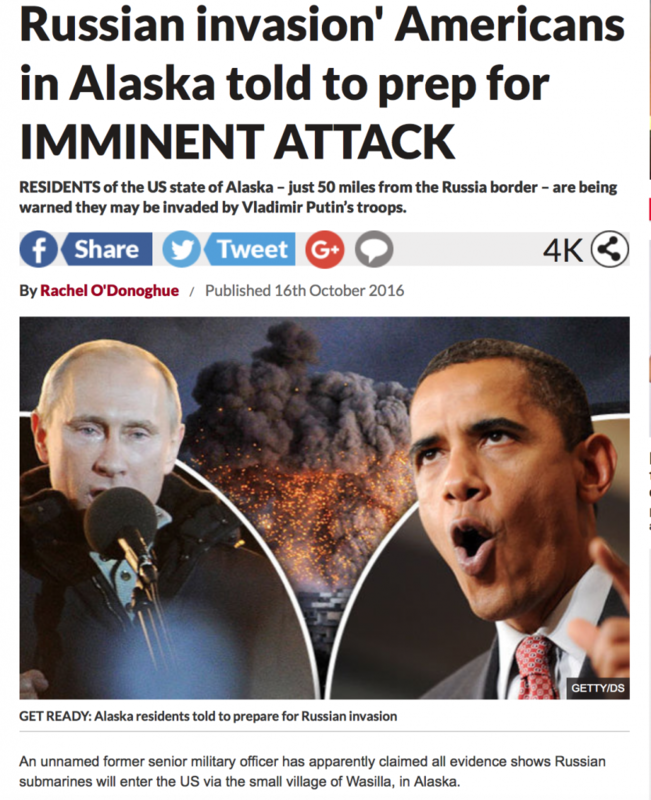 In fact it’s been an MSM news blackout while Russian media has told its citizens that nuclear war is “imminent.” Meanwhile as another sign that Putin means business, in response to NATO’s nuclear missiles activated in Romania and Poland, Putin has ordered at the ready his nuclear capable missiles in Kaliningrad, the Russian enclave between NATO members Poland and Lithuania.